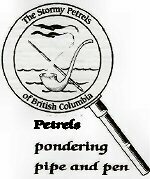 Three Stormy Petrels (Johnnie, Gordon and Fran) embarked on an adventure which took them to a beautiful little theatre in a quaint, picturesque village on Vancouver Island. 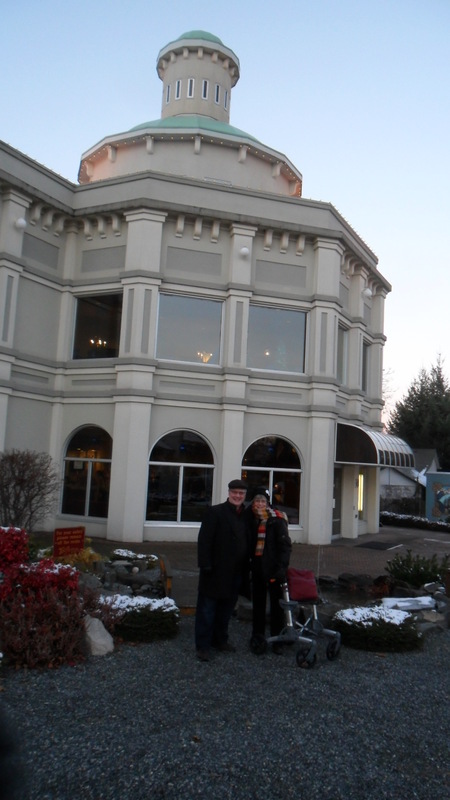 After a two-hour sail on the ferry and a half-hour drive down the Island Highway, they found themselves in Chemainus. A lovely buffet lunch had been booked prior to the show. 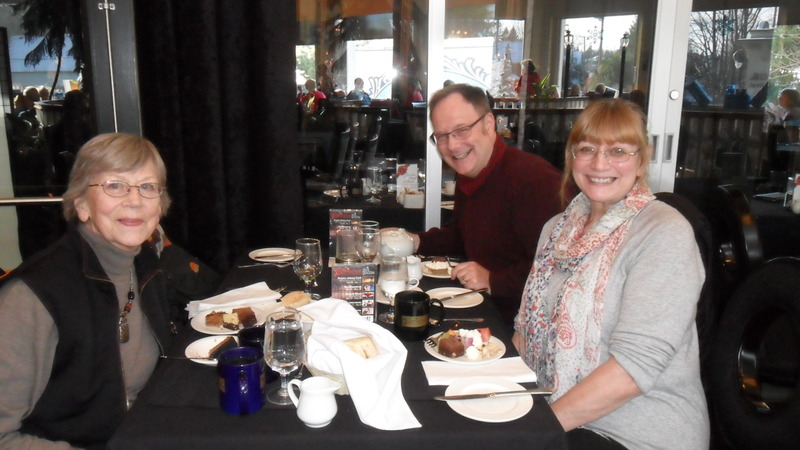 The piano player was in top form as the three enjoyed their excellent meal. The elegant restaurant was conveniently located in the theatre upstairs. The three Petrels made their way downstairs to find their seats in the front row. They were in for a real treat! Not sure what to expect when you read that Sherlock Holmes will be visited by three spirits, we were soon transported to the time and place we were hoping for. The set, with its over-sized clocks melting onto the stage, were reflective of the ‘time-warp’. Shadows would often pass over their faces. 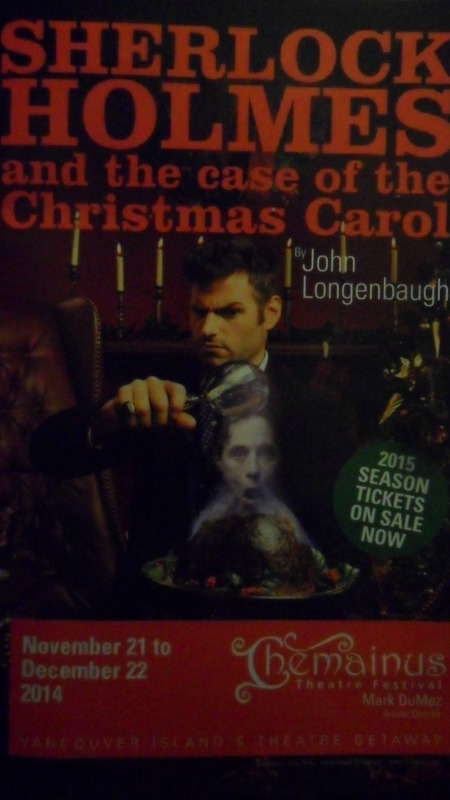 The author, John Longenbaugh, has done an excellent job bringing our favourite characters to life. Allowing us to see them not only in the present, but allowing us to know them in the past. And what could become of them in years to come. This Petrel was filled with all kinds of emotions. The acting was superb! I was sorry to see it end. Needless to say, this play comes highly recommended. Definitely worth the day trip to the Island!